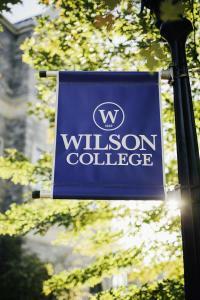 Committed to serving Wilson College's entire student population both during and after education. Welcome to the Wilson College Career Development Center where students and alumni are provided career planning services and access to career development resources. The career development center is here to work with students and alumni with career advising, career development and employment and internship opportunities. The career center also sponsors a variety of workshops on topics of interest, job fairs, on-campus recruitment and several online resources. It takes the average college student 3-9 months to find a job.